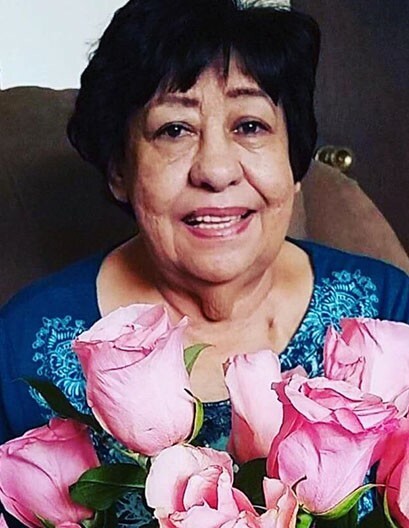 Gloria Jean Vigil, age 75, passed away peacefully in her home on July 31st, 2018. Born May 7th, 1943 in Trinidad, Colorado. She lived in Midvale, Utah and worked at Abbott Critical Care Systems until retiring in 2001. Gloria loved to play bingo & was quite the "jokester." She was a woman who loved whole-heartedly. She will be missed by many. She is survived by her son Larry Marquez and spouse Jan, grandchildren Corrina Midkiff and spouse Ray, Paul Arellano, Kyle, Anna Jean, and great grandchildren Lexi Black, Isaac Walker, and Alexis Midkiff, and numerous nieces and nephews. Preceded in death by her husband Orlando Vigil, daughter Nina Arellano, and many brothers and sisters. The viewing will be begin at 10 a.m. Thursday, August 9th, 2018, and Mass will begin at 11 a.m. at Saint Therese Catholic Church, 624 W. Lennox Street, Midvale, Utah 84047. "We have an angel in Heaven who's watching over us and her name is Gloria."